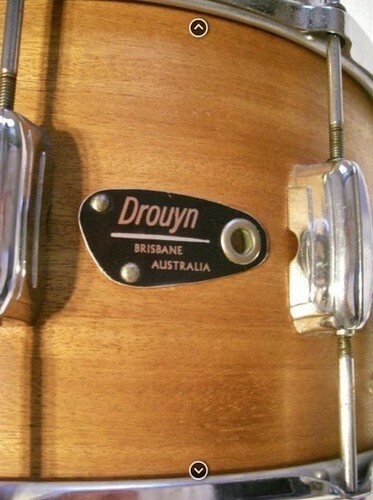 Drouyn images from around the web. 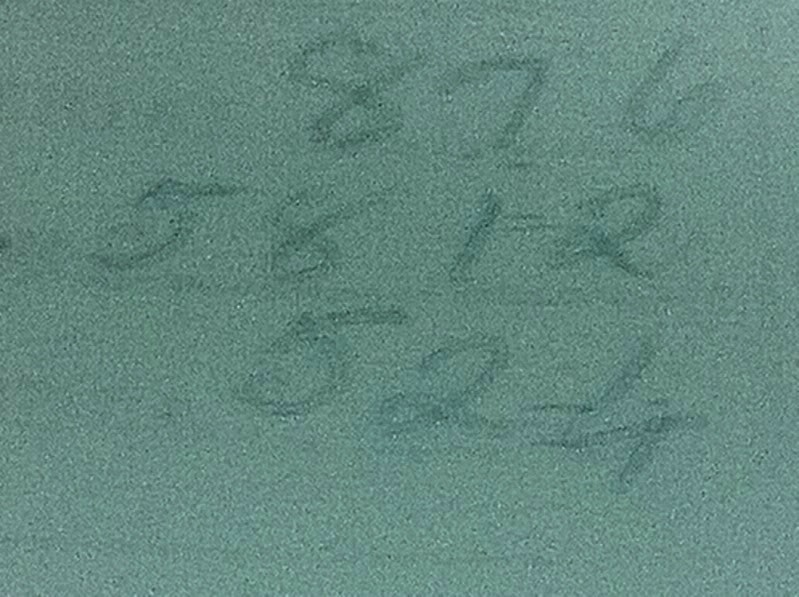 Thank you for sending me your pictures. 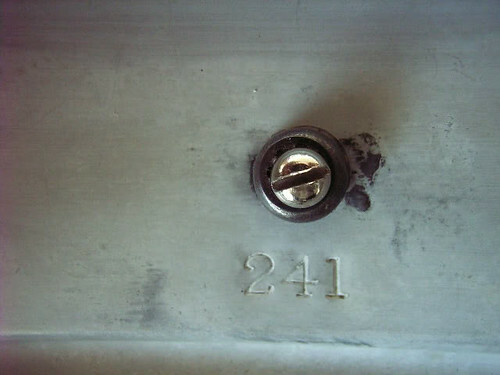 If I have used your images without credit/permission; please contact me. 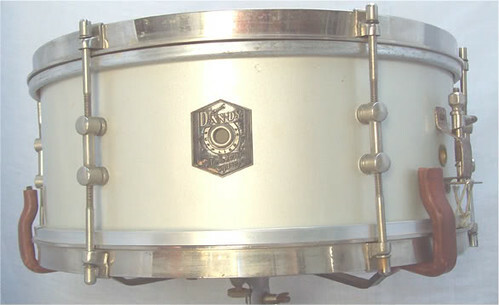 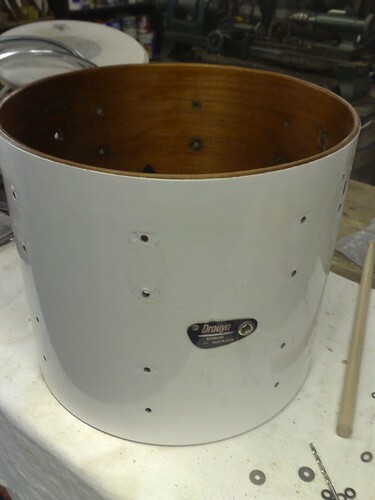 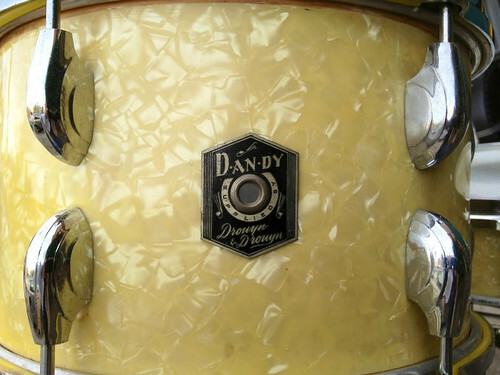 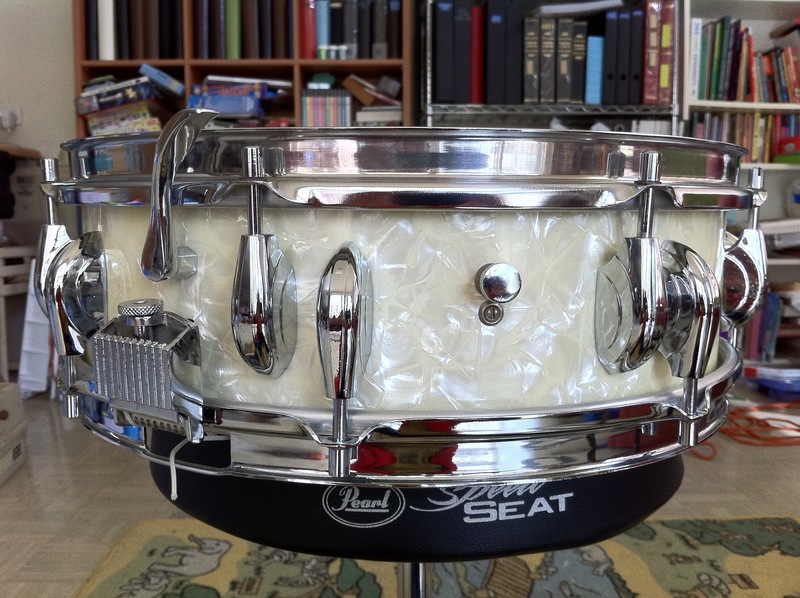 Dandy EXCELL 524 14″ x 4″ snare drum in white marine pearl. 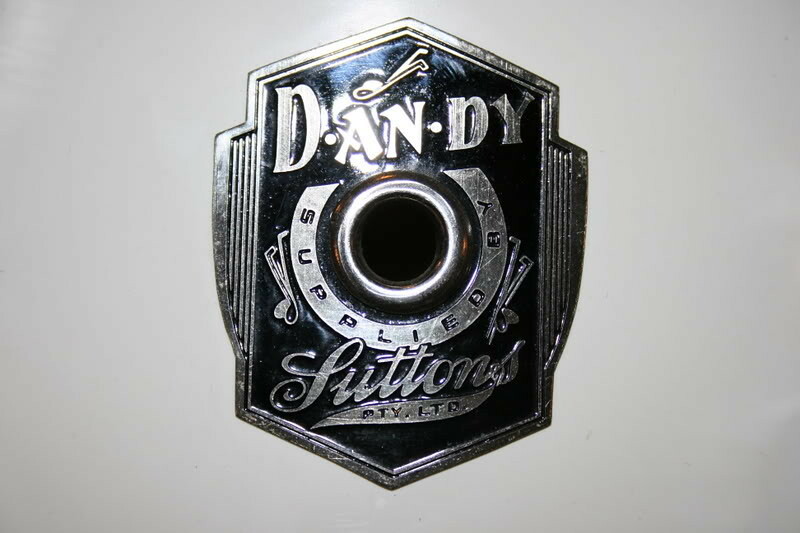 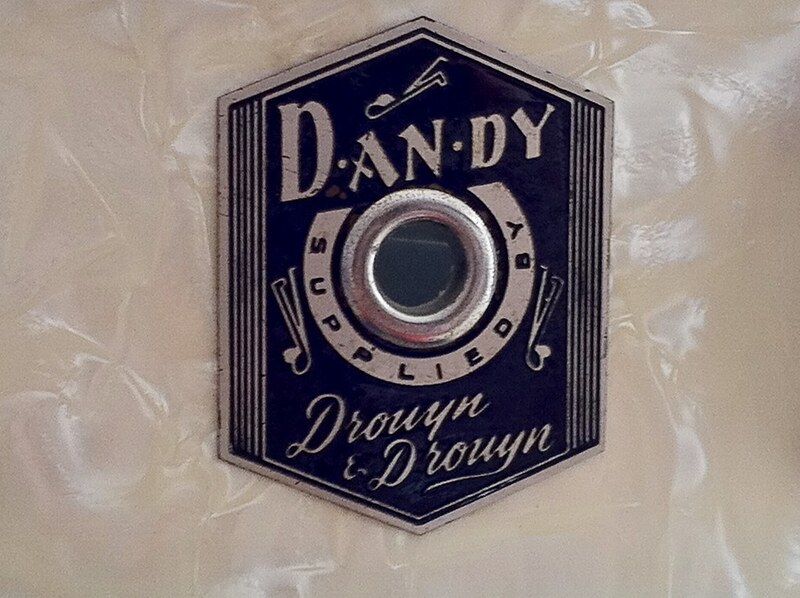 Slotted rods, painted interior, Dandy badge. 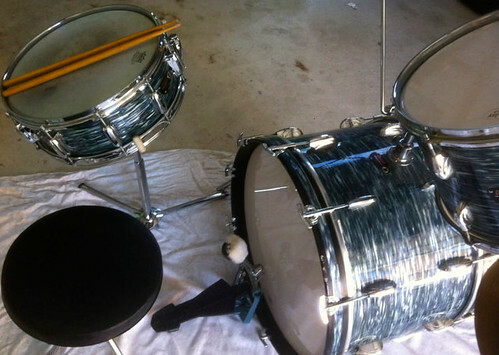 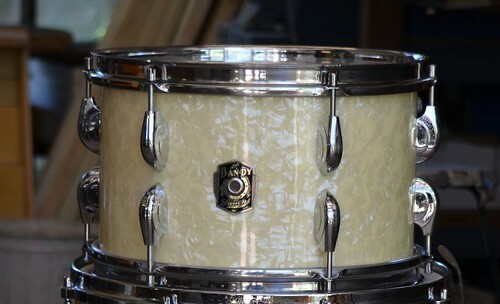 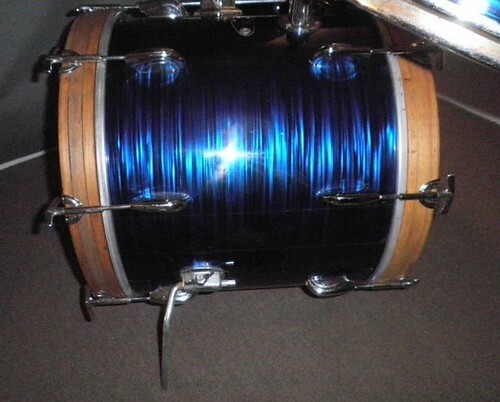 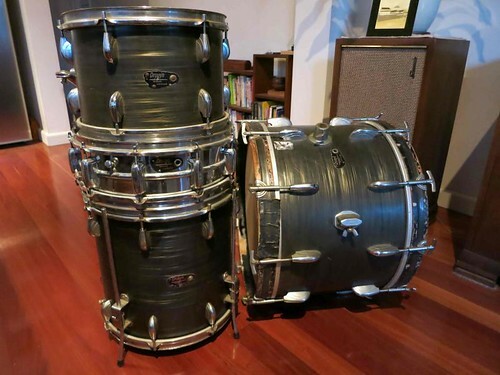 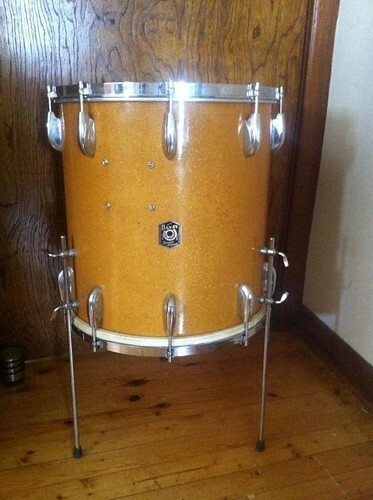 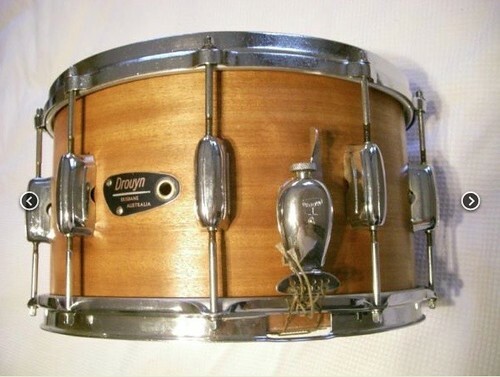 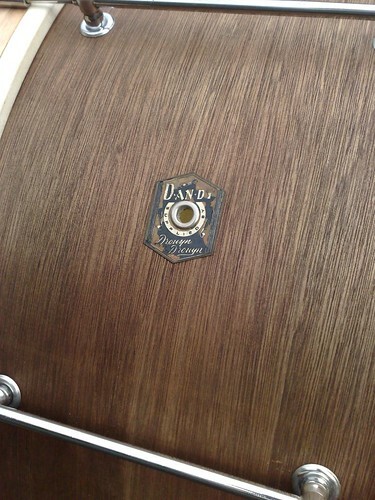 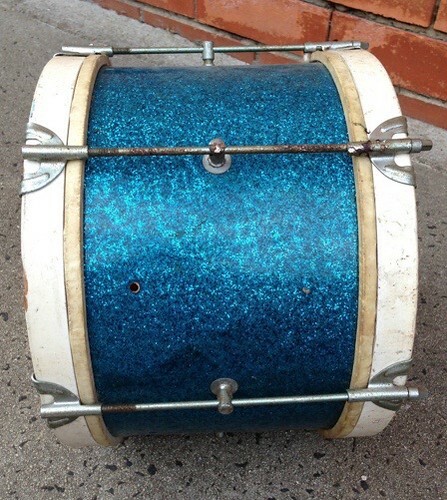 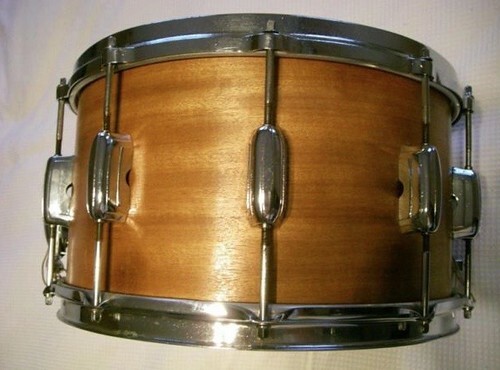 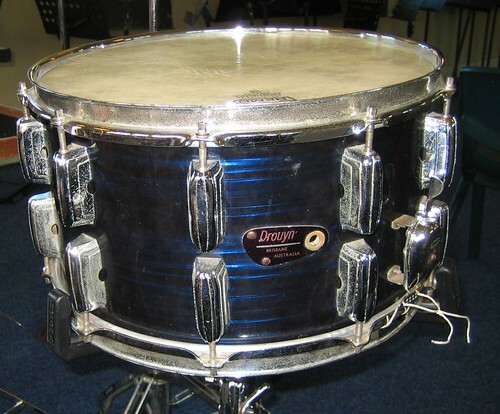 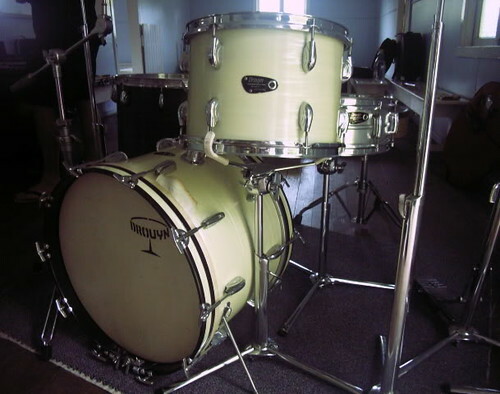 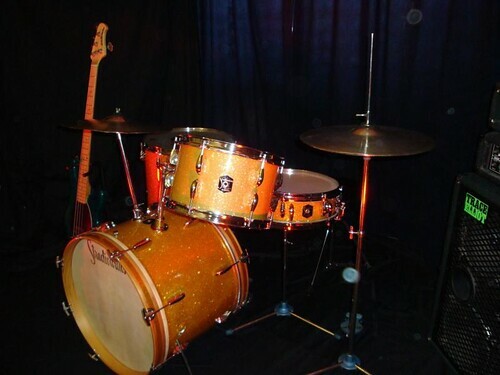 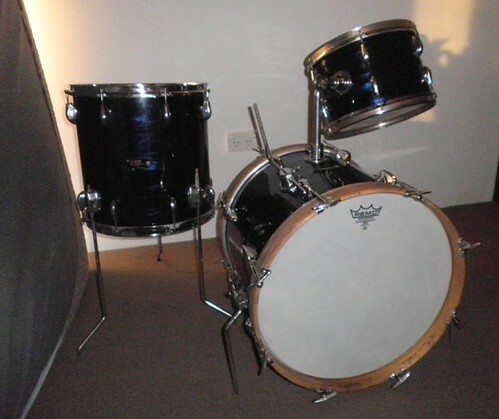 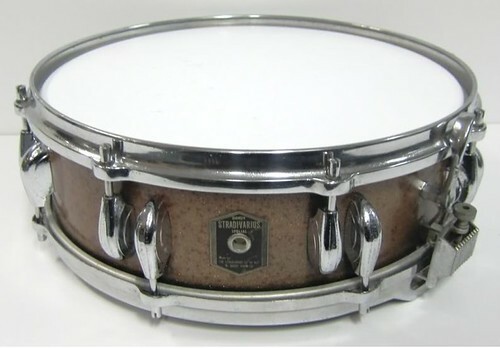 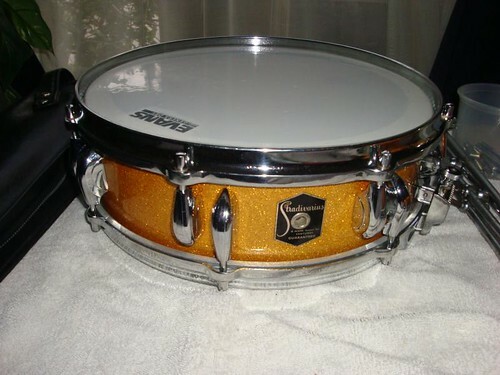 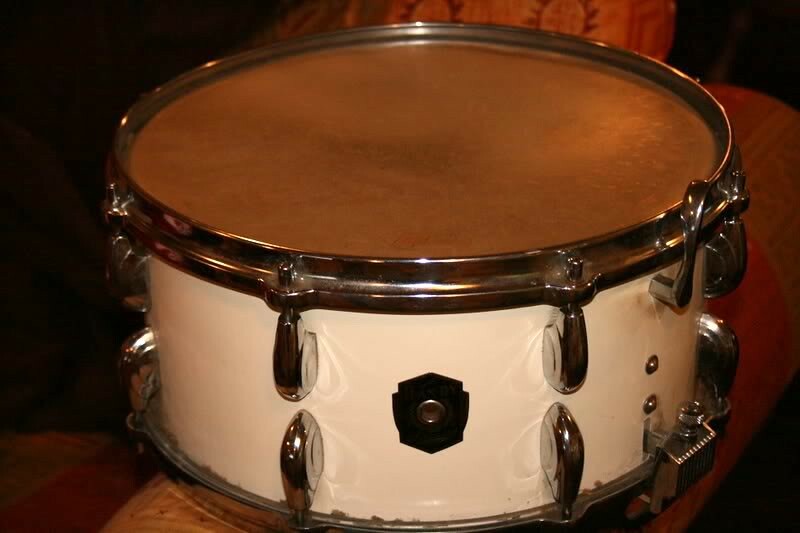 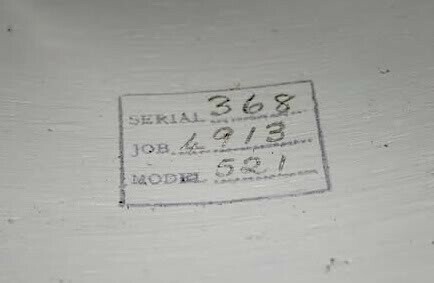 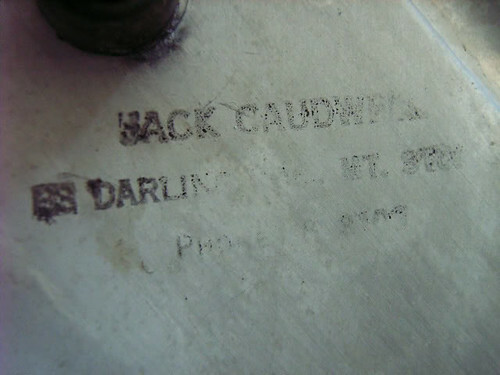 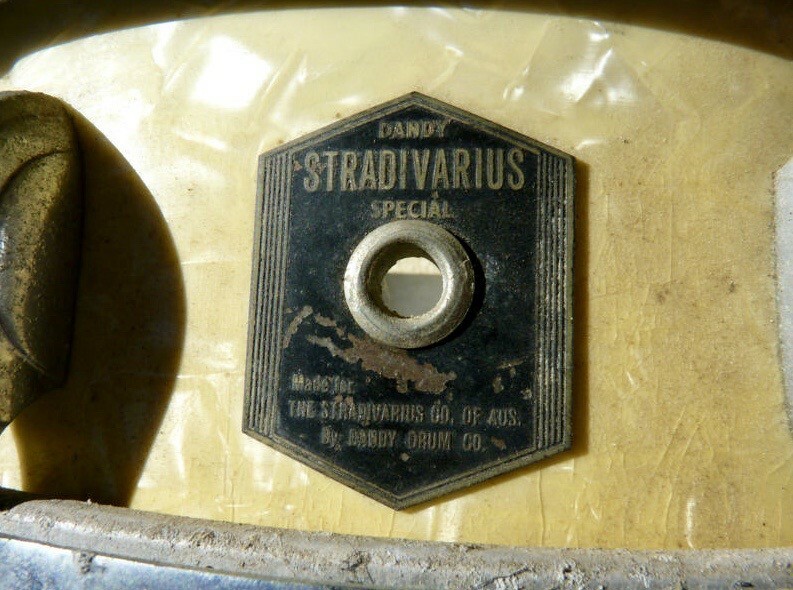 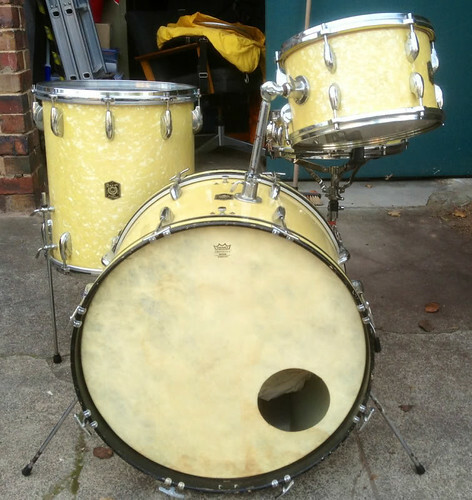 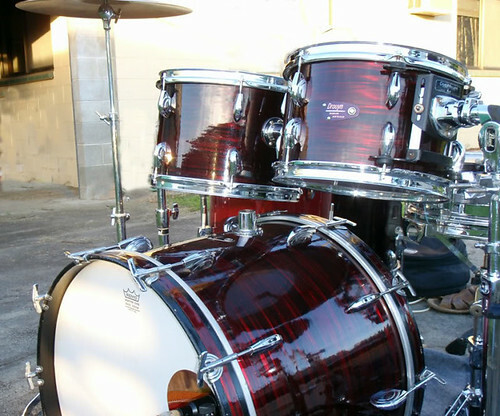 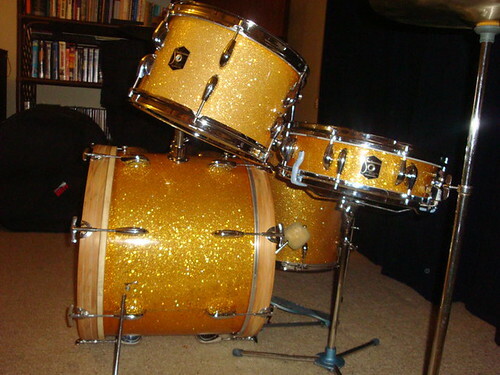 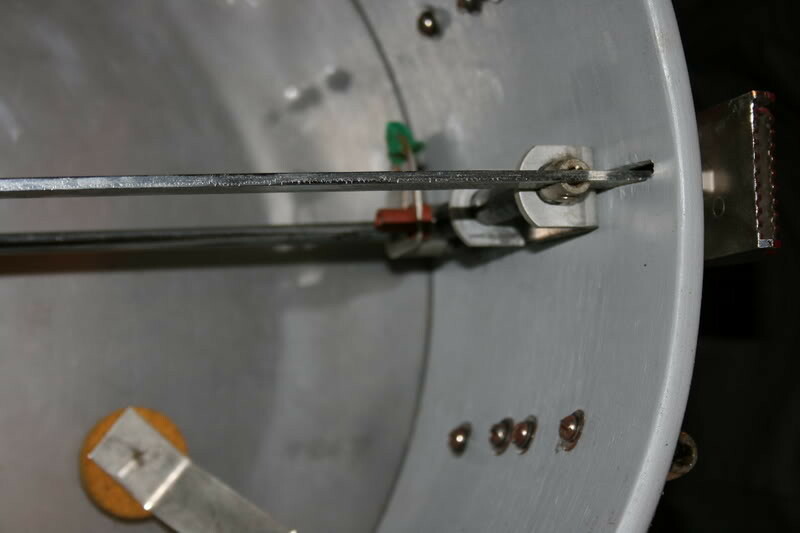 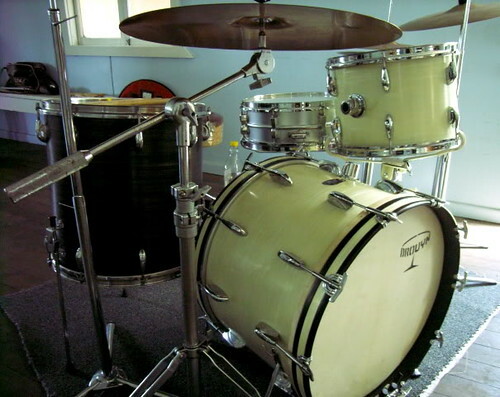 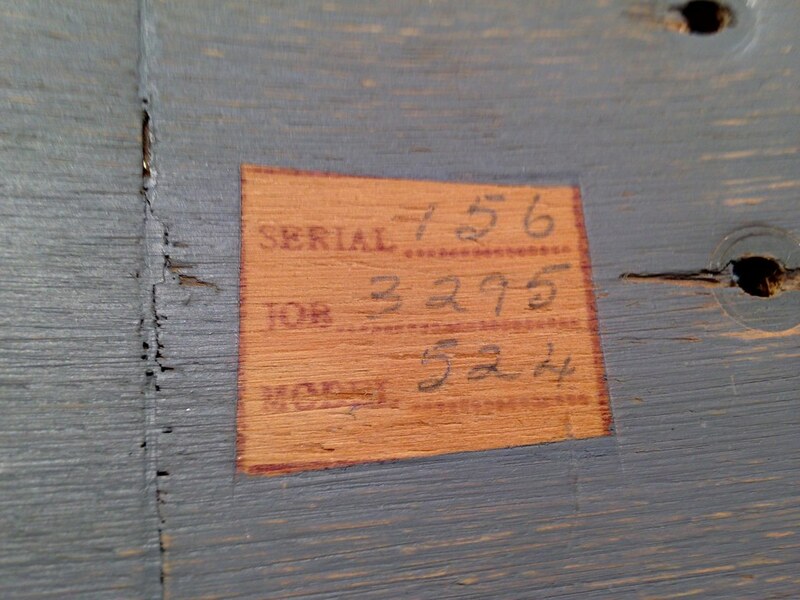 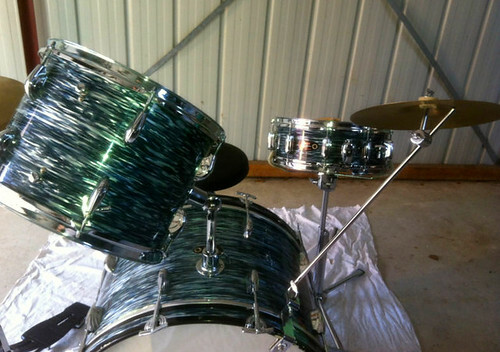 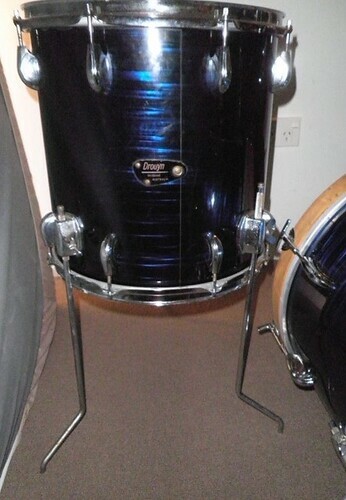 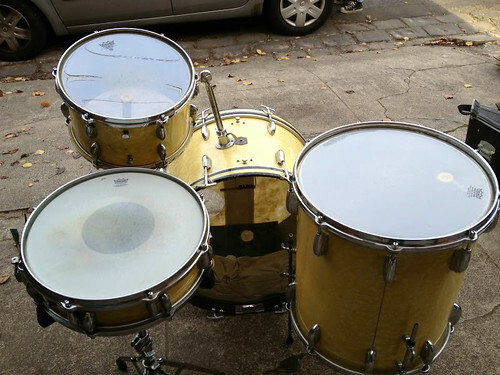 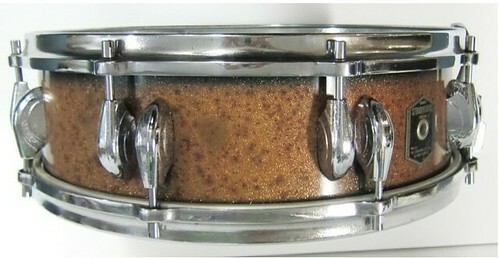 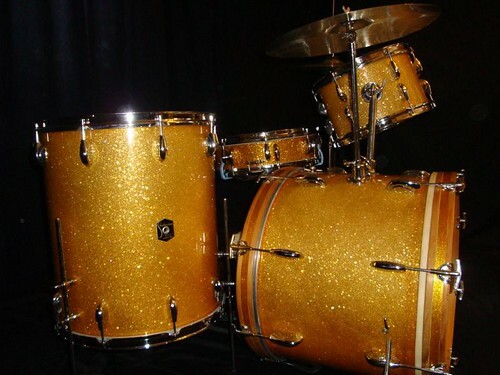 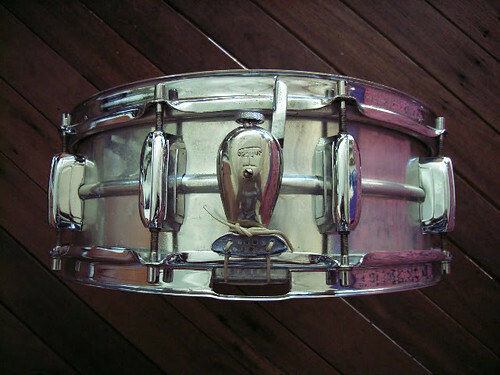 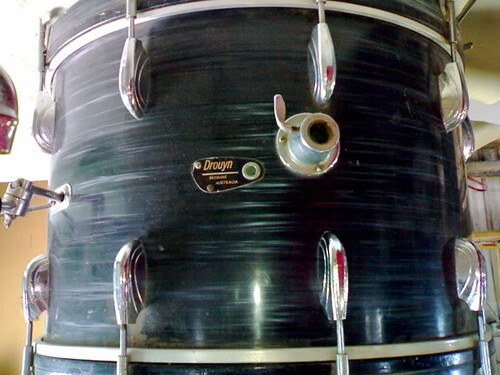 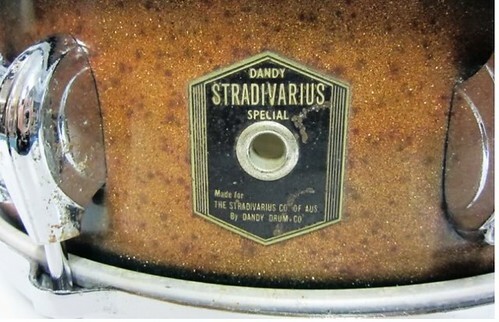 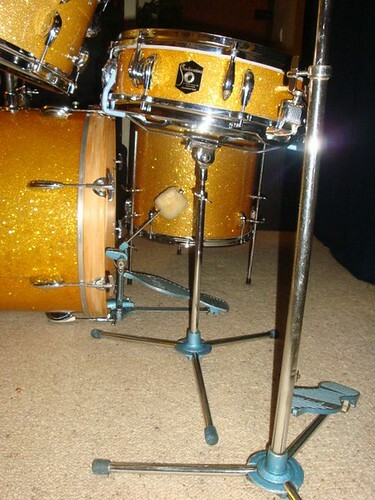 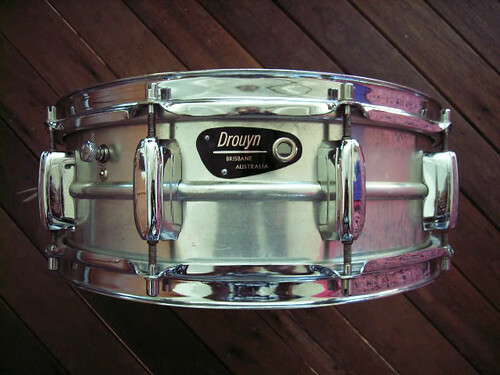 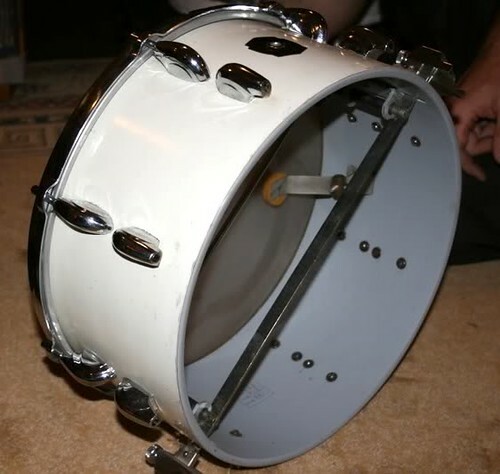 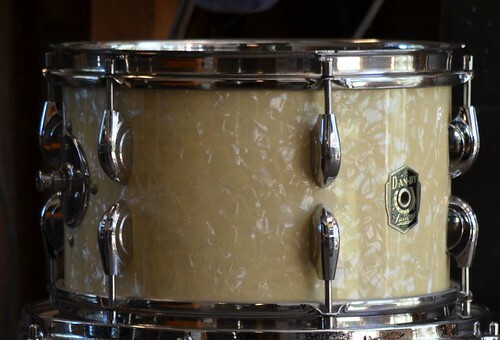 I’m calling this a 1960, which would fit the badge and general condition of the drum.